The Sun transits your 2nd House of earnings, finance, possessions and income. You could locate items that were lost or misplaced. Financial backing or assistance comes from a surprise source this month, Scorpio. The New Moon occurs on 12/2 in Sagittarius, your 2nd House. New Moons bring in new offers and opportunities. With a New Moon in your 2nd House, expect finances to take a turn for the better this month. Uranus (surprises/things you never saw coming) creates a powerful angle to this New Moon. You can expect an element of excitement and surprise when it comes to your finances on this date. Something out of left field comes your way and involves an increase in your bank account. This could surprise even you, Scorpio. A Gemini or a Sagittarius could be involved. Mercury (communication skills, logic and reasoning) begins the month in Scorpio and enters Sagittarius on 12/4. With Mercury entering your 2nd House, you begin to take stock of who and what is most important to you, Scorpio, personally and professionally. The 2nd House deals with how you earn money and how you spend it. With the optimistic sign of Sagittarius in your 2nd House, there will be good news concerning your income and a possible bonus you were not expecting. Your optimism (Sagittarius component) about finances and possessions encourages you to seriously think about your values and your education. You will ask yourself questions such as: How do you earn your money? What do you spend it on? What do you hope to achieve financially in 2014? You could conclude that if your current job doesn't bring or add value to your life, then a change can work and promises to do wonders for you, Scorpio, especially in 2014. You could feel restless or appear impatient at work throughout the month, Scorpio. Realize this is a great month to further your education, push forward with legal issues or research places overseas. Education, publishing and overseas travel are areas that promise to benefit you during this time. Pay special attention on 12/4. With Jupiter (luck, expansion and prosperity) in Cancer and Saturn in your 1st House, you can and will gain when dealing with anything to do regarding publishing, higher learning, spirituality and legalities. Focus on that which brings value into your life this month and throughout this transit that lasts until 12/24, when Mercury enters the compatible sign of Capricorn. You won't be disappointed with the results, Scorpio. Venus (love, harmony and romance) begins the month in Capricorn. 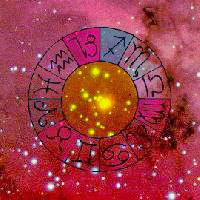 Capricorn is your 3rd House of neighbors, community issues and siblings and rules your communication abilities, Scorpio. Capricorn is a compatible Earth sign that complements you well, so during Venus in Capricorn, you can expect an ongoing romance to grow more serious during the first three weeks of December. You could be introduced to a love interest through a neighbor or meet someone new in your neighborhood. Love is closer to you than you might have imagined, if single. Expect parties, socializing and your neighborhood to be places that love can and will be found, especially if single. Couples could decide to take the next step during Venus in Capricorn. Caution coupled Scorpios: Venus turns retrograde on 12/21/13 and remains retrograde until 1/31/14. During this time Venus (love, money and all things harmonious) will be retrograde in your 3rd House. The 3rd House represents your communication, intellect and also deals with travel. You can be assured that these areas seem or appear to slow down and you may encounter some difficulties during this time. Relationships that were looking up tend to slow down and siblings, your home life and short distance travel will begin to encounter some mishaps and frustrations. An appliance could break down, a current relationship could make you think twice. Single or coupled, your relationships with siblings could be prone to misunderstandings with Venus retrograde. The Full Moon occurs on 12/17 in Gemini. Gemini is your 8th House of shared income, your finances and also deals with issues of power and control. It (8th House) also rules other people's money. This Full Moon can bring about intense reactions from you and, if coupled, from a partner. These reactions are centered around the issue of savings, spending and shared income. If possible, avoid leaving your home on the 17th and 18th. Full Moons bring out intensity and something you view as a big deal can appear not to be the case with someone close to you. Your job or work life can feel especially challenging this week and a relationship could feel pushed to the brink. This week could be frustrating on a professional level. If possible, step aside and gather your thoughts. Mars (motivation, sexuality and physical energy) begins the month in Virgo (your 11th House of social circles and hopes) and enters Libra on 12/7. Libra is your 12th House of privacy, seclusion and secrets, Scorpio. Be especially careful at home, when handling sharp objects or when travelling, especially the last week of December. With Mars in your 12th House, people and issues from your past will resurface. Issues that you believed to be done and over with could come back and haunt you throughout this transit. It might finally be the right time to make peace with your past and attempt to resolve any differences of opinions that occur, personal or professional. During this transit, you could also desire to work in seclusion and find crowds and crowded places to be irritating and overwhelming. Mars will entice you into seclusion one way or another. It can also bring out issues past into the open (public) and your thoughts and ideas can turn inwards. Your introspective side emerges during this time. A Virgo, an Aries and a Pisces will be involved. This Virgo could be someone from your past or someone who is a relative or close friend. A Virgo promises to bring love and loyalty into your life this month, Scorpio. A relationship with Pisces could feel explosive this month, for better or for worse. A Pisces will admire your talent and find you beyond attractive. An Aries will be instrumental to you in regards to an ongoing work assignment.